BreastCancerTrials.org in collaboration with Susan G. Komen offers a custom matching service that can help you find a clinical trial that fits your health needs. Additionally, you can find local clinical trials via the Sparrow Cancer Center and the Cancer Research Consortium of West Michigan. The following websites offer more information on clinical trials and help in finding a clinical trial. 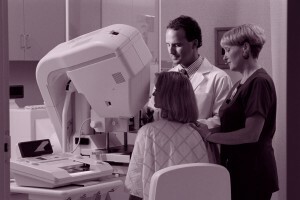 Over the past 30 years, treatment of breast cancer has greatly improved due to lessons learned through clinical trials. Clinical trials test the safety and benefits of new treatments, diagnostic methods and screening tests. People volunteer to take part in these research studies. Whether a new therapy or test becomes part of standard treatment (or diagnosis or screening) for breast cancer depends largely on clinical trial results. For example, clinical trials showed the benefit of hormone therapies and trastuzumab (Herceptin) in breast cancer treatment and these drugs are now part of standard care. Large randomized clinical trials are viewed as the best basis for making treatment guidelines. Clinical trials take place across the country (and around the world) in many types of medical centers and hospitals. Often, trials are funded by a single agency like the National Cancer Institute (a government agency) and are carried out at the same time in many sites across the country. These are called cooperative group clinical trials, and they allow researchers to increase the number of people in a given study. Dedicated physicians, researchers and other health professionals, as well as hospitals, medical research centers and funders are all key to clinical trials. However, most important are the participants. Those who join clinical trials help further the knowledge base that ultimately helps improve breast cancer care. Some people worry they will get a placebo instead of an effective treatment in a clinical trial. However, placebos are not used in metastatic breast cancer clinical trials and are not commonly used in other cancer trials. Your health care provider or the clinical research staff can tell you if there is a placebo in the study. Most often in a breast cancer treatment clinical trial, you will get either the new treatment or the standard treatment. So, even if you do not get the new drug (or other new therapy), your breast cancer will be treated just as it would if you were not in the trial. Sometimes in a non-metastatic cancer trial, you may get standard treatment plus a placebo rather than standard treatment plus a new treatment. New treatment or tests being studied are usually paid for by the clinical trial. Out-of-pocket costs for most clinical trials are the same as those for standard treatment. The Affordable Care Act now requires insurance companies to cover non-research, standard care costs related to a clinical trial (that are not covered by the trial itself) plus any standard treatment given (learn more). Before enrolling in a clinical trial, talk with your insurance provider and find out exactly which costs are covered (and which are not). This ensures you do not have any unexpected costs, such as out-of-network fees. Clinical trials at the Clinical Center of the National Institutes of Health (NIH) in Bethesda, Maryland are free of charge to those who are eligible to join and willing to get treatment at the center. For more information on these studies, visit the NIH clinical center website or call 1-800-4CANCER. Where you live may be a factor in choosing to join a clinical trial. Some clinical trials are done only in one (or a few) medical centers, while others are done in many locations across the country. There may not be a clinical trial that is right for you in your local area. The risks of a new treatment may not be fully understood, so there may be some unexpected side effects. Though testing keeps these risks as small as possible, all the side effects of a new treatment are often not revealed until after long-term testing and follow-up. Before joining a clinical trial, talk with the research coordinator, nurse or physician from the study. This person can answer your questions and discuss any concerns you may have. You may want to take a friend or family member with you to help ask questions, take notes and give you support. Also, you may wish to record the discussion so you can review it later. It is a good idea to bring a list of questions and concerns. The following questions may be useful for your discussion. What are the potential risks and benefits of joining this clinical trial? What risks and benefits are most likely for me? What were the results of other studies on this treatment or technique? Who chooses which type of treatment or procedure I will have? What tests or treatments are involved? What medical expenses will be paid by the clinical trial? Will my insurance cover the remaining costs or will I need to pay for them myself? What happens when the study ends? Is there long-term follow-up care? If the treatment is working for me, can I continue to get it after the study ends? What happens if I am harmed somehow in the study? Is medical care provided and paid for by the study? Is there a person already enrolled in the study that I can talk with? Are there other clinical trials I should consider that might offer more benefit for me? (Adapted from American Cancer Society and National Cancer Institute materials [144-145]). If you and your health care provider decide a clinical trial is a good option for you, your provider should put you in touch with a research nurse or coordinator from the trial. This person will guide you through the enrollment process. The research coordinator or nurse will answer any questions you have. Once you decide to join the study, you will be asked for your written permission. The document you sign is called a consent form and you will get a copy. This form includes the study protocol as well as the potential risks and benefits of the treatment or test. Remember that being in a clinical trial is voluntary. You may leave the trial at any time, for any reason. Consenting and giving written permission to join the study does not force you to stay in the study. If you are newly diagnosed with breast cancer, consider joining a clinical trial before starting treatment. For most people with early breast cancer, treatment doesn’t start right after diagnosis. So, there is time to find a clinical trial that might meet your needs as part of your treatment options. Once you have begun standard treatment for early breast cancer, it can be difficult to join a clinical trial. If you have a breast cancer recurrence, you should consider joining a clinical trial before treatment for recurrence begins or when your health care provider is considering changing treatments. If you are diagnosed with metastatic breast cancer, consider joining a clinical trial when your provider is considering changing treatments or before starting a new treatment. Though clinical trials usually study treatments, there are trials that focus on other areas of breast cancer, such as prevention and screening. These studies often look for women who have never had breast cancer to take part in the study. There are also many clinical trials for breast cancer survivors who are not undergoing active treatment. These trials may include studies of long-term effects of breast cancer treatments and studies of the survival benefits of lifestyle behaviors (such as diet and exercise). Learn more about ways for survivors to get involved in breast cancer research. All clinical trials have specific criteria for joining the study. For example, each trial will have a list of medical conditions that people must have (or not have) in order to join the study. Phase 1 (phase I) trials study whether a new treatment is safe to use over a range of doses. The treatment may be given to people with different types of cancers. A phase 1 trial is mainly a drug safety study. Phase 2 (phase II) trials study how well a treatment works for a certain cancer, such as breast cancer. These trials may include between 25 and 100 people. After a drug (or other therapy) is found to be effective in treating breast cancer in a phase 2 trial, a phase 3 trial will study it further. Phase 3 (phase III) trials study how well a new treatment (including surgical procedures) works compared to the standard treatment (standard of care). They study the best way to give the new treatment to get the most benefit and whether it is better than the current standard treatment. Phase 3 trials may look at different doses of the same drug, different drug combinations or different sequences of giving drugs (for example, studying which drug is best to give first). In phase 3 trials, people are randomized (chosen by chance) to get either the new treatment or the standard treatment. They do not get to choose which treatment they will get. This ensures the study results reflect the true benefits and risks of the new treatment. Phase 4 (phase IV) trials study the long-term side effects of treatments or answer new questions about the treatment. They are done after a new breast cancer treatment is approved by the U.S. Food and Drug Administration (FDA-approved). Not all clinical trials fall neatly into one category. Some trials may be a combination of two categories, such as a phase 1/2 or phase 2/3 trial. Most clinical trials are funded by the National Cancer Institute (NCI), a part of the National Institutes of Health (NIH). NCI also sponsors groups that study the same cancer topic, such as the American College of Radiology Imaging Network. These groups include many hospitals, universities and physicians who work together to study certain cancer issues. The Department of Defense and the Department of Veterans Affairs are other government sources of funding for clinical trials. Pharmaceutical and biotechnology companies and nonprofit organizations also sponsor clinical trials.